These trucks have special features which help classify them as unique vehicles. Hybrid trucks use both a conventional engine and an electric motor. The electric motor helps in operating the drive train, while an ICE is used as a generator which powers the electric motor as well charging the batteries. They are equipped with a diesel electric unit and a fuel cell auxiliary power extension. Due to the unique features, the trucks are crafted to ensure fuel consumption efficiency. More technological additions are constantly being added; for instance, there is a hybrid start-stop feature which regulates idling. This prevents fuel wastage while idling. There has been an endeavour to make it more efficient by reducing the body weight. Many are build with tough aluminium, which reduces weight and increases capacity. These trucks usually have automatic grease lubrication systems in-built. This makes it more efficient and minimises the risk of breaking down. They use less energy because they are lighter and less fuel as they don’t rely entirely on a combustion engine. The automatic greasing systems mean that greasing happens automatically and servicing and maintenance is a dream. The twin powered engine makes these vehicles environmentally friendly, limiting fumes and pollution. They have a higher resale value because many people are now switching over to hybrid systems. 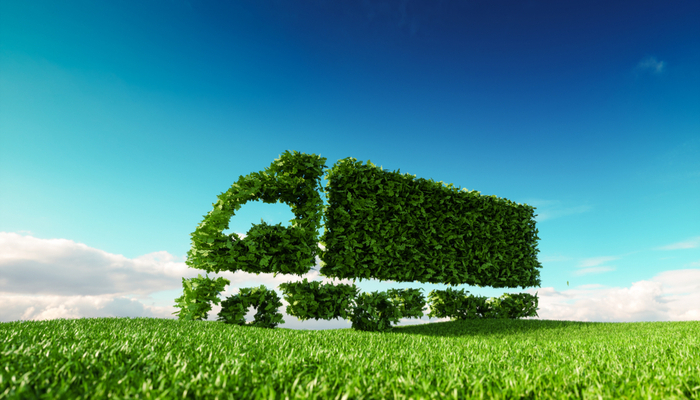 Hybrid trucks are more cost efficient, as they use less fuel. Applying the brakes recharges the batteries (called Regenerative braking), so you can top up power as you go. Since the technology is still relatively new, hybrid trucks are a bit more expensive than traditional options. A hybrid truck can be costly to maintain. There are less mechanics trained in hybrid technology and parts are harder to source. There is risk of electrocution if an accident occurs. This is due to the large battery packs onboard. The hybrid components occupy quite a large space in the vehicle which would otherwise be utilised in transportation services. Check battery and fuel levels before each journey. Batteries should be properly connected and the terminals should not be corroded. Tyres should have optimal air pressure to ensure safety on long travels. Brakes, brushes, lights, wiper, and gauges should be inspected before you hit the road to ensure that they are working. Make sure you stay on top of vehicle maintenance to avoid any avoidable breakdowns or damage. It’s also a good idea to find a good hybrid mechanic near you before investing in a hybrid truck, that way you’ll have a reliable place to take it for servicing.